Noisey or rusty exhaust problems? The mechanic that comes to you! Are you having car exhaust problems? If you can hear a rattling noise, roaring noise, chugging, hissing or a metallic sound from your car you may be experiencing a car exhaust problem, and in which case it’s time to have your car seen to immediately as these are tell tale signs that your car is experiencing exhaust problems. Remember if you hear strange noises coming from your exhaust, it’s a good idea to have an expert check it for your peace of mind. Because we understand your car is an expensive investment we believe it will require the kind of care that a quality Mobile Mechanics can offer! To keep your pride and joy in good running order you should ensure you get the kind of care that only a quality that Auckland’s mobile mechanic can deliver. 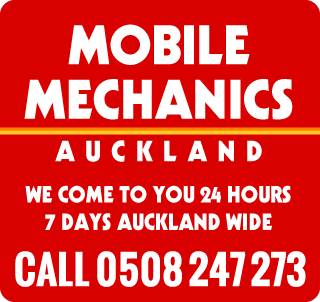 Auckland Mobile Mechanics gives you complete peace of mind with our Guarantee on all workmanship. Call 0508 247 273 today to make a booking!